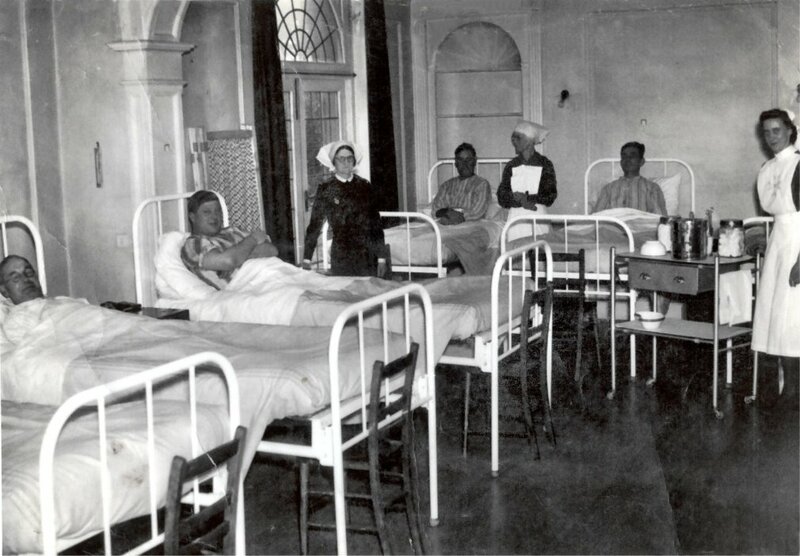 A hospital ward at Broomhill. Matron Elliott is by the door, other nurses are Sister Hoare and Audrey Crick. One of the patient's names is Attwood. 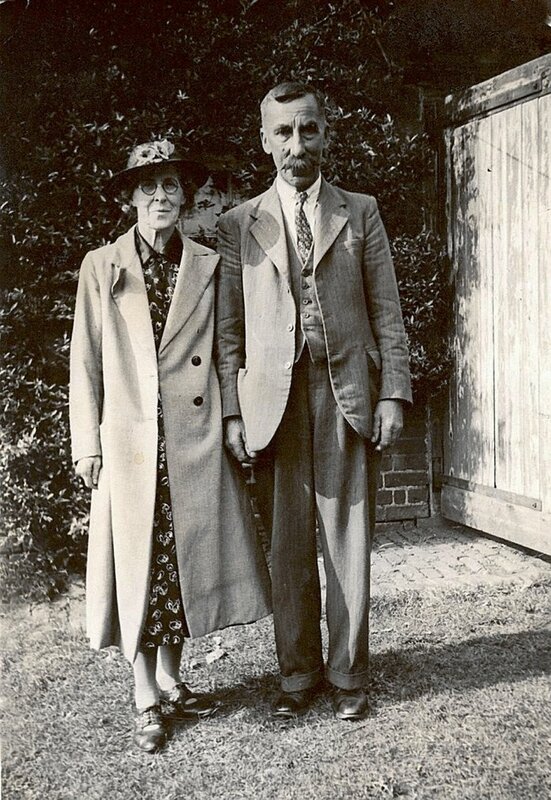 During the war the owners, Mr. and Mrs. Church, moved into the groom's quarters and in 1941 let the main house to Blagdens, a small firm from London who had been bombed out of their offices. Blagdens came with all their staff and stayed until Broomhill became an annexe to Northampton General Hospital in June 1943. Here patients were able to recuperate after their operations. 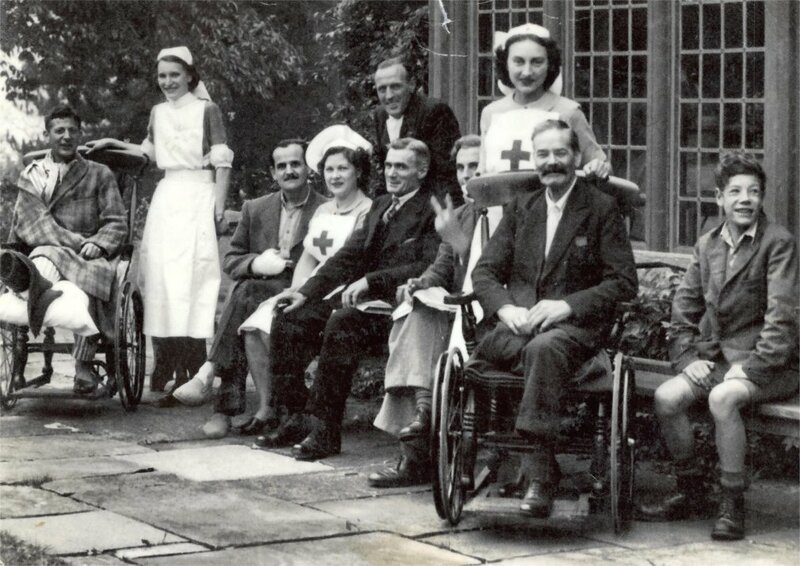 After June 6th 1944 only military patients were admitted and Mrs. Church, a VAD, was able to help with the nursing. The house took a maximum of 40 soldiers and regime was strict. There is a story that some of the soldiers escaped by climbing down the wisteria from the upper bedrooms and walked across the fields for a drink in the Chequers in Spratton. Patients and nurses outside Broomhill. Patients relaxing in the drawing-room at Broomhill with the popular commandant, Miss M de Putron, daughter of the late Rev J P de Putron, ex-vicar of Kingsthorpe. Miss de Putron gave up work at St. Dunstan's to take up this post. The ancient name 'Broomhill' (referred to in the 13th century cartulary of Northampton St. James - see 'The Place Names of Northamptonshire') refers to the broom and gorse that grew profusely in the sandy soil in the western part of the village. In fact it became a custom on the Monday following Spratton Feast Sunday, the Sunday following the festival of St. Luke (in October), for villagers to walk up the hill together to gather gorse from the common land and take it home to use as fuel. 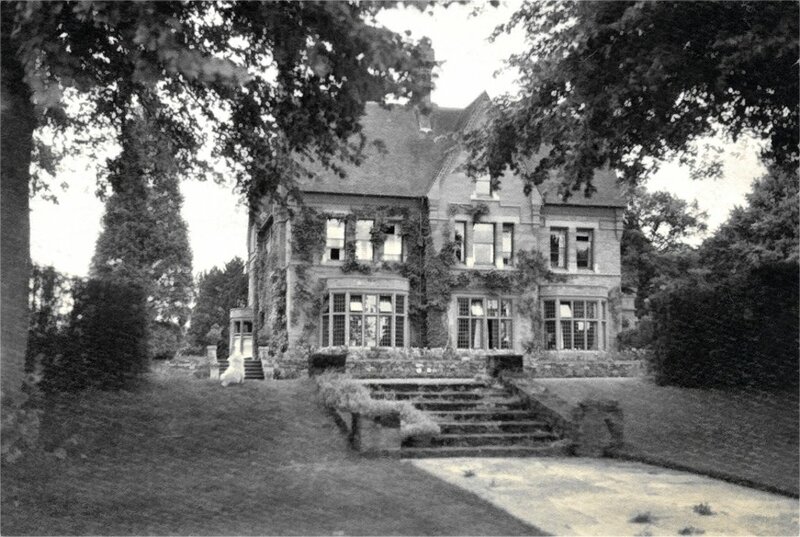 The large house named Broomhill standing on the outskirts of the village was designed by the architectural firm of Goddards in Leicester and, although the deeds were lost in a fire in a London solicitor's office during the Second World War, the architect's drawings exist dating from 1869 and 1871. The house can also be dated form a large stone near the back porch to 1872. It was built by Colonel Henry de Tessier. By 1881 it was owned by Francis Bruce Simson, who had lived in India for most of his life and had recently retired from HM Bengal Civil Service. He lived in the house with his wife and young son, Bruce, and five or six servants. 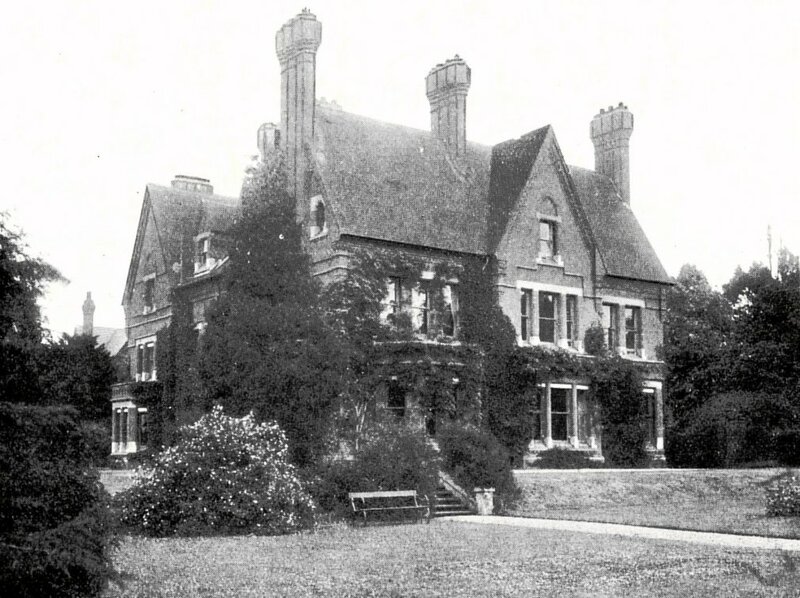 When Sir Mervyn Manningham-Buller, Speaker of the House of Commons and MP for Daventry, bought the house in 1902, the property consisted of the main house run by 12 staff, a cottage, a coach house, stables, grooms' quarters and a farm cottage, Spratton Lodge, for a farm manager together with about 150 acres of farmland. Sir Mervyn had the original staircase removed and replace with a pine and mahogany one that had come from Burlington House. Sir Mervyn's son, Lord Dilhorn, later also became an MP as well as Lord Chancellor and his grand-daughter, Elizabeth, became head of MI5. The house was put up for sale in 1929 with about 130 acres (see 1125), of which 120 acres were described as good grass land on the corn-brash. The accommodation is described in archive 2153, and outbuildings in 2154. Acreages are marked on the plan. The whole was for sale with vacant possession, so there was no continuing farming tenant. It was bought by a speculator who hoped to sell it at a profit. Unfortunately the economic conditions of the time meant that house prices fell and Broomhill remained unsold and empty for seven years. 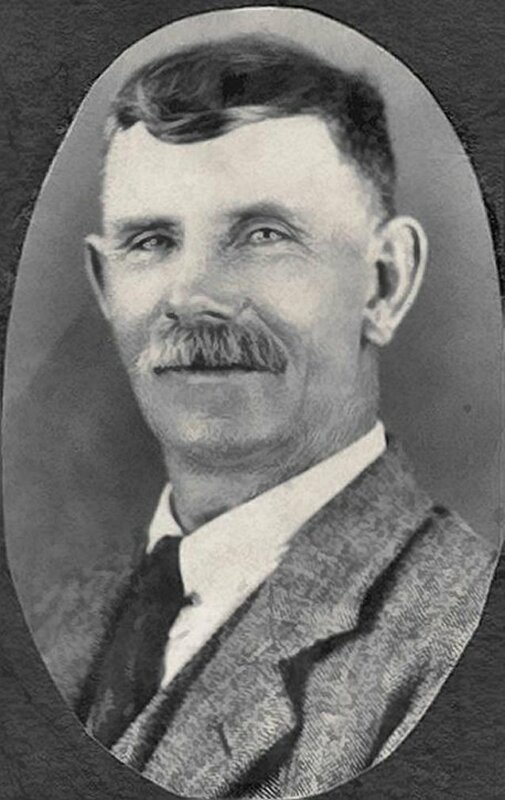 Christopher Kench, the former head gardener, who made floral garlands for the children's May Day celebrations, looked after the house until it was sold in 1935 to Leslie Church (Sheila Bradshaw's father), the Chairman of Church & Co., shoe manufacturers. The Church family made many improvements to modernise the house, including installing a huge central heating system. During the war, Mr. and Mrs. Church moved into the groom's quarters. 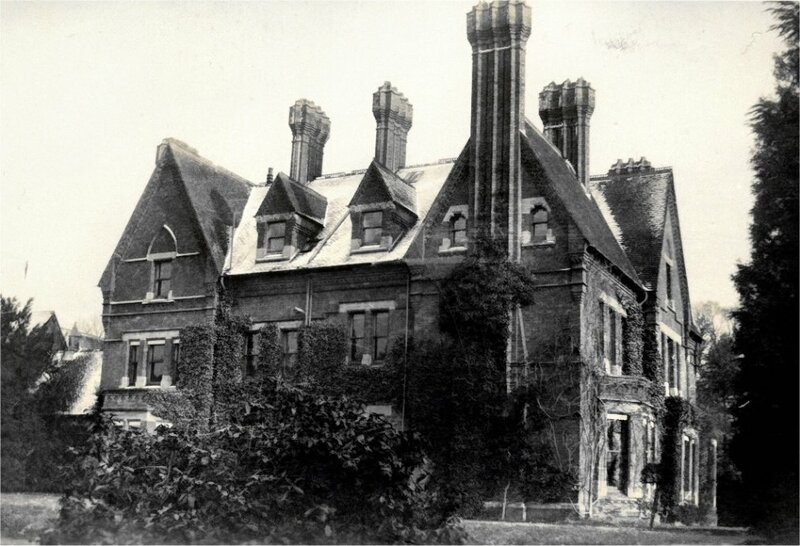 In the early summer of 1940, there was a Canadian Regiment there for about a week (see 1376), and in 1941 the main house was let to Blagdens, a small firm from London, who had been bombed out of their offices. Blagdens came with all their staff and stayed until Broomhill became an annexe to Northampton General Hospital in June 1943. Here patients were able to recuperate after their operations. After June 6th 1944, only military patients were admitted and Mrs. Church, a VAD, was able to help with the nursing. The house took a maximum of 40 soldiers and the regime was strict. There is a story that some of the soldiers escaped by climbing down the wisteria from the upper bedrooms and walked across the fields for a drink in The Chequers in Spratton.